All-Welded Aluminum Boats - About Silver Ships, Inc. Since Silver Ships’ founding in 1985, our vision has been to provide customers with a boat designed, built, outfitted and best-suited to meet their operational needs while offering the maximum in crew safety and outstanding performance. For those looking to update or add to an existing vessel, Silver Ships also offers a complete refurbishment program for all makes and models of aluminum workboats. Throughout our history, we have continued to fulfill our mission statement by producing high-quality aluminum boats for military, federal, state and municipal governments as well as commercial applications through collaboration with highly skilled design, engineering and production resources. We aim high – we were the first to produce Rigid Hull Inflatable Boats (RHIBs) in North America – and we keep our customers’ needs top of mind. Each Silver Ships vessel can be completely customized to fit a wide variety of mission-specific needs. With our corporate headquarters located in Theodore, Alabama, our production facilities are situated on a 25-acre manufacturing site and utilize state-of-the-art boatbuilding equipment. Our on-site accredited Naval Architect and Engineering staff designs all boats within a three-dimensional modeling and hydrodynamic design software to ensure safety and operational usage in design, development, design evaluation and calculations throughout all stages of construction. From the initial design to the final send-off, every step of the boat building process is completed in one location. 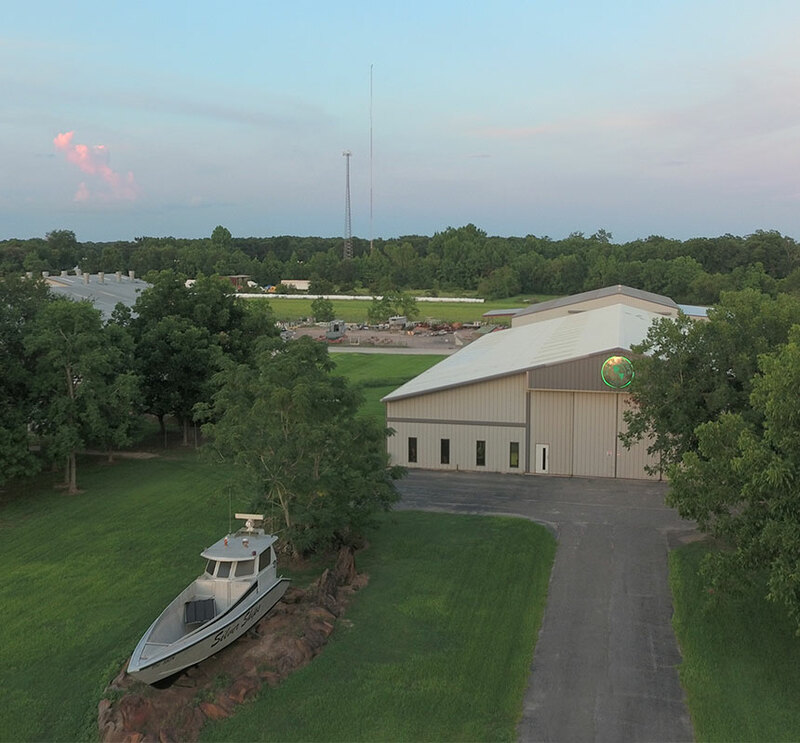 Moved to current location on Bellingrath Road in Theodore, Ala.
Our team is here to help you construct the vessel best equipped to handle your crew’s mission. From start to finish, we’ll walk you through the purchase, design, construction and outfitting processes to make your experience as simple and rewarding as possible. What marine sector will the boat operate in? Knowing the primary mission of the vessel, such as fire and rescue or law enforcement, will help our team develop special build options to best meet your goals. How and when will the boat be used? Details about the specific use of the boat and the circumstances it will face on the water will help our team recommend the boat model to best fit your needs. We can fully customize a boat based on your available budget. If you’re in the process of applying for a grant or other funding for your boat, we can put together a price based on your vessel needs. Custom building and special outfitting for specific features and mission-specific operations are possible, including patient transport, aft weapon mounts, specialized pumps and more. Where and in what type of water will the boat be used? Knowing what conditions the boat will be operated in and where the boat will be docked helps our team make a recommendation for the best model of boat for your mission. 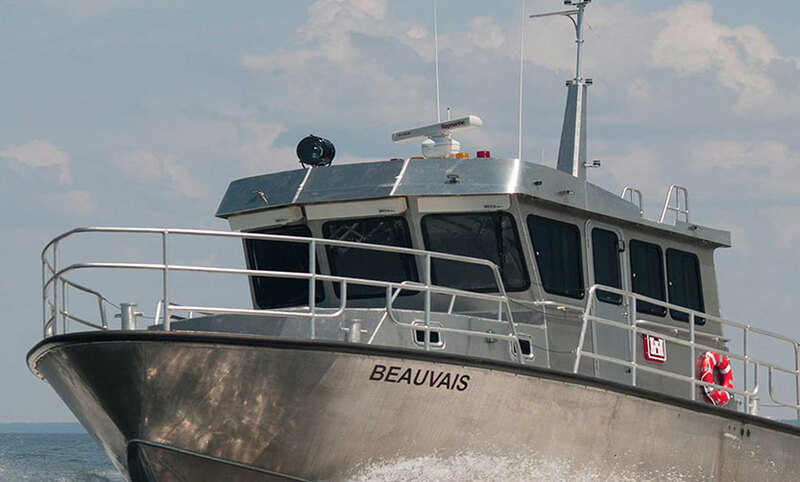 A workboat is an investment in your mission, and we’re ready to help get your project started. Learn more from our sales team.